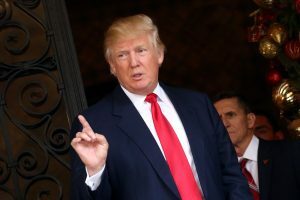 NEW YORK — Donald Trump and his Cabinet picks are preparing to face public questioning over their business conflicts, their approach to Russia and other issues during a critical week of confirmation hearings and the president-elect’s first news conference in nearly six months. Trump plunged Monday into another fight with a high-profile critic, this time in a three-part tweet responding to actress Meryl Streep’s denunciation of him from the stage of the Golden Globe awards. Bigger issues await the president-elect and at least nine of his Cabinet and other nominees this week. He becomes the nation’s 45th president on Jan. 20. His nominees to be the nation’s top diplomat, lead law enforcement officer and head of homeland security are among at least nine picks set to parade before Senate committees beginning Tuesday. A day later, Trump faces reporters about how he’ll disentangle his global empire from his administration, and more. Trump has pledged to step away from the Trump Organization during his time in office, but has yet to say specifically how he will do that. Perhaps the most pressing issue is how Trump responds to the U.S. intelligence community’s briefing Friday on its conclusion that Russia meddled in the election to help him become president. Trump’s incoming chief of staff, Reince Priebus, said Sunday that Trump indeed has accepted that Russia was responsible for the hacking, which targeted the Democratic National Committee and a top aide to former rival Hillary Clinton. “He’s not denying that entities in Russia were behind this particular campaign,” Priebus said in an appearance on a Sunday television news show. Intelligence officials allege that Moscow directed a series of hacks in order to help Trump win the White House in the race against Clinton. Trump has expressed skepticism about Russia’s role and declined to say whether he agrees that the meddling was done on his behalf. He’s also said improving relations with Russia would be a good thing and that only “stupid” people would disagree. An unclassified version of a report presented to Trump last week directly tied Russian President Vladimir Putin to election meddling and said that Moscow had a “clear preference” for Trump over Clinton. Trump and his allies have bristled at any implication that the meddling helped him win the election. He won the Electoral College vote with 306 votes, well over the 270 votes required to become president. The comments come ahead of a consequential week for Trump and his Cabinet picks. Democrats complain the schedule is rushed. The government ethics office says it hasn’t received even draft financial disclosure reports for some of the nominees set to appear before Congress this week. Many are wealthy businessmen who have never held public office. Trump’s nominees, meanwhile, have been going through extensive preparation in the days leading up to the hearings. Transition officials said Sunday they’ve spent more than 70 hours participating in full-blown mock hearings, with volunteers playing the role of senators asking questions. Kellman reported from Washington. Associated Press writer Vivian Salama in Washington contributed to this report.